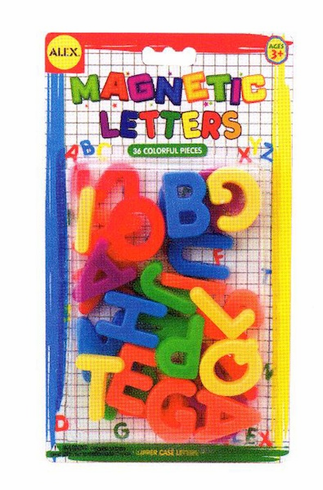 Have fun and learn the alphabet with these bright, colorful, magnetic letters. See how many different words you can come up with. Can be used with the ALEX Magnetic Tabletop Easel or any magnetic surface. 36 colorful uppercase letters included.